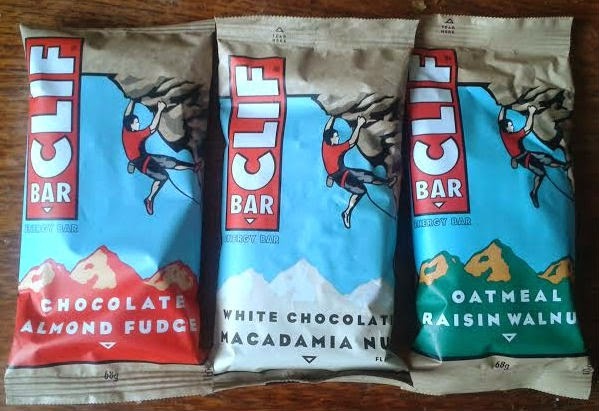 I hadn’t heard about CLIF until I was contacted about them a couple of weeks ago – and now I am hearing the name everywhere – I even heard it on Two Broke Girls the other night so when pitched to me as America’s favourite energy bar, I can wholeheartedly believe it! Having recently launched in the UK, I was sent 6 bars to try – 2 of each flavour (which was very handy as it meant both myself and Steve could try one each!). Now available in Boots and Tesco stores nationwide, CLIF bars contain fibre, protein and 11 different vitamins including B6 and B12. These are carb rich and are perfect for a source of energy wherever you are. There are six flavours to choose from (Chocolate Chip, Crunchy Peanut Butter, Oatmeal Raisin Walnut, Blueberry Crisp, White Chocolate Macadamia Nut and Chocolate Almond Fudge). We were sent the Oatmeal, Macadamia and Fudge to try out..
My favourite by far was the White Chocolate Macadamia Nut, it was the right sweetness for me and I found it really set me up for the day. Always a fan of raisins so the Oatmeal Raisin Walnut went down a treat and despite me not being a fan of almond in the slightest, Chocolate Almond Fudge surprised me – and actually tasted great! 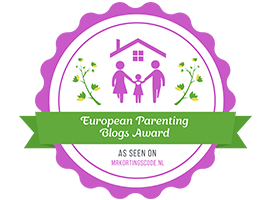 I am often lethargic in the mornings, especially working from home – I sometimes feel no sense of urgency to go and do something however these gave me the energy I needed to get stuff done that I had been meaning to do for ages! Steve was quite impressed with both the macadamia and walnut offerings but with a dislike of almond that is greater than mine, he wasn’t a fan of the fudge offering – this, of course, is simply a personal thing – he doesn’t like anything almond flavoured! Would I recommend? Definitely – and that is why I have a competition from CLIF for you all today! It is UK only and will end at 23.59pm on the 10th of July. by empty, I mean no other people, not no water! Coffee. All the coffee all the time! A mid afternoon snack such as a handfull of nuts, or failing that – chocolate! Cereal with ice-cold skimmed milk and banana slices on the top. Eating my sugar free oat granola in the morning sets me up for the day. a good sleep and coffee in morning gets me up and at em! I don't think you can beat a good night's sleep and I've had these before at the London Marathon expo… they are so tasty! Coffee with a big dollop of honey. Going for a brisk walk, always energised me. Lots of sleep and a good breakfast like porridge – keeps me going all morning! A good night's sleep, good breakfast and some exercise in the morning 🙂 Perfect combination to keep me energised all day! a cup of tea and a biscuit usually gets me back on my feet. Chocolate! Naughty I know but it always gives me a boost. Toddlers. They also drain my energy too. Like many others, i need sleep! A rather large Mars Bar does not go a miss either! It has to be Coffee for me, it's really keping me going at the moment with a newborn ! A short walk in the fresh air. After an argument with Hubby I dash about the place like a mad thing, getting all the jobs done. Haha! Plenty of fresh air and a healthy diet. The sun shining with blues skies in the morning! being out in the sun! A good 7-1 score football match!